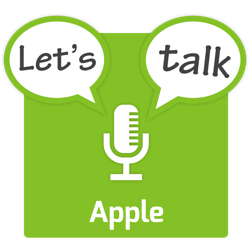 The show starts with a few quick followup stories before moving on to look at some notable Apple-related numbers, some Apple-related legal stories, some Apple HR news, and a few Apple Acquisitions that made the news in March. The five main stories are Apple’s Annual Shareholders Meeting, the new legal battle that’s kicked-off between Spotify and Apple, the new hardware Apple unexpectedly announced in the run-up to the March event, the services announced at the March event, and the resurrection of ‘keyboard gate’ as Apple’s 3rd generation butterfly keyboards continue to fail for some users. The show finishes with a quick rundown of some other smaller Apple-related stories that made the news in March. … We live in a very polarized world today. And, unfortunately, too often, people are identified in those respective camps, and the dialog that should take place to find that 99% or the 95% commonality or areas of interest doesn’t happen. What we do is we engage with people in all political parties. I’m a big believer in engagement. You can imagine if you’re a gay man from the South, you don’t exactly ask everybody whether you agree with that lifestyle, or you don’t have a lot of friends. These things to us are not political things. They’re policies. We don’t look at the politics of it, we think about the policy of it.